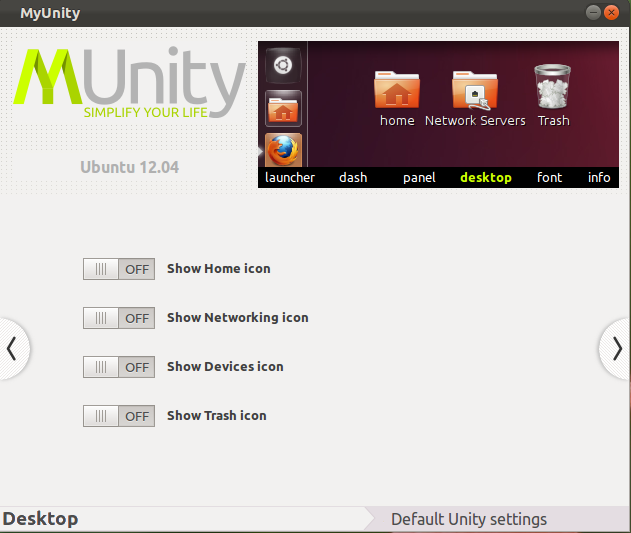 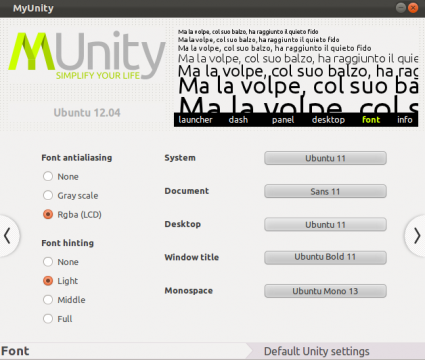 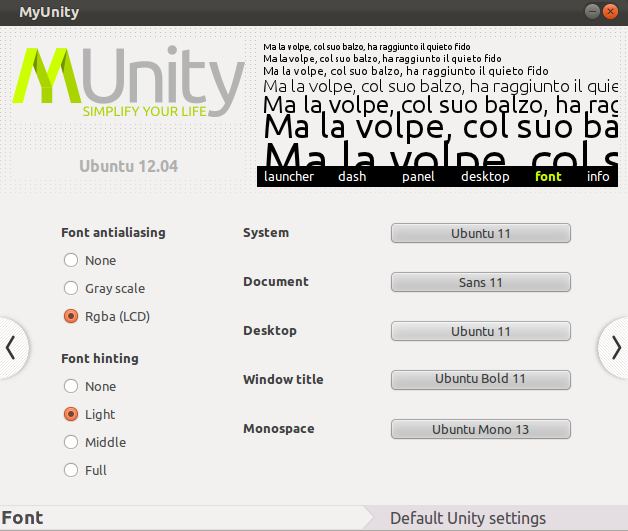 MyUnity is a simple graphical tool to customize Ubuntu Unity’s launcher, dash, panel, desktop, and font. The 2.0 version has released with adjusting Dash size, precisely changing Launcher size, Panel & Launcher transparency with scroll-bar of percentage. 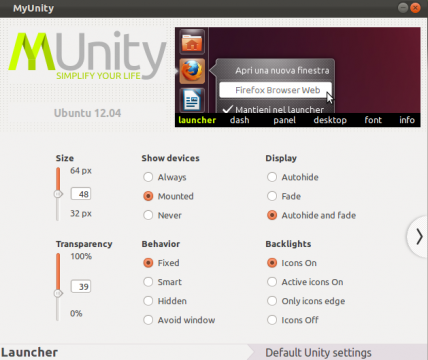 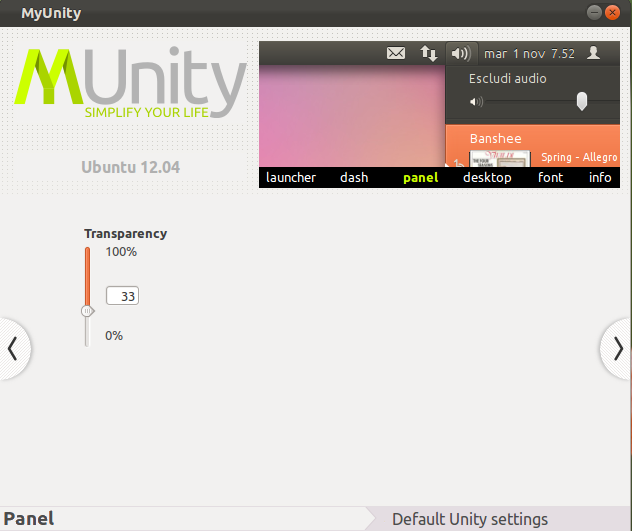 MyUnity 2.0 now is available in Ubuntu 12.04 Precise’s universe repository. 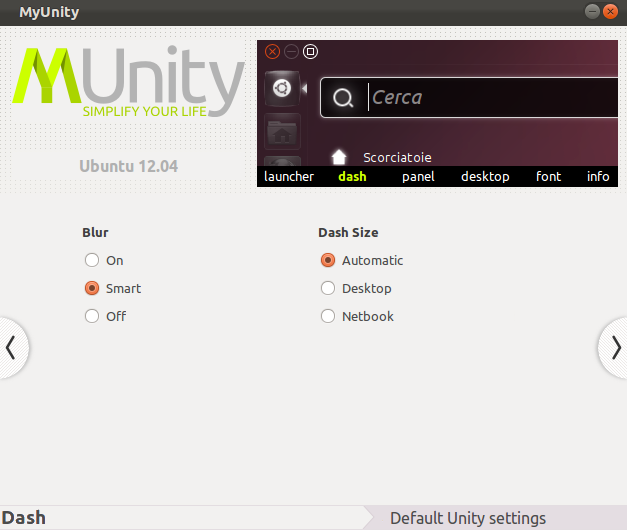 Ubuntu 12.04 Precise, just search and install MyUnity in Ubuntu Software Center. No user responded in " Simple Unity Configurator ‘MyUnity’ 2.0 released(available in Precise’s Universe repository) "